NYC Educator: Maybe I Need to Clarify My Definition of "Old Movie"
Maybe I Need to Clarify My Definition of "Old Movie"
My darlings and I are studying the Civil War, and one of them asked me if there are any good movies about the Civil War. I named the Ken Burns film, obviously, and Glory, and then I also mentioned Gone With the Wind. "What's Gone With the Wind, Miss Eyre?" I had to explain that it's quite an old movie told mostly from the perspective of white Southerners, and that while it's considered a classic American film, they might find some of the language and characterizations upsetting and therefore it was a film they should watch with an adult who can talk to them about it (i.e. NOT ME). 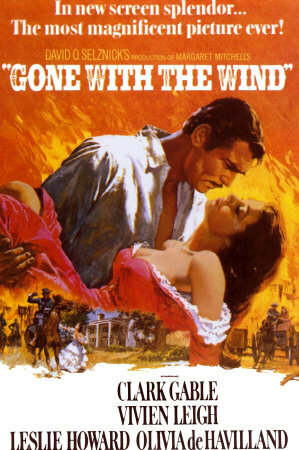 After all, a lot has changed in this country in the seventy years since Gone with the Wind was made. But I first saw it in middle school myself--read the book in middle school, too--and some of my babes could handle looking at the movie through a more contemporary lens. That said, I explained, there's a lot to like--beautiful color and costumes, great acting, the terrible and awesome Rhett Butler, etc. "So if you like old movies," I concluded, "maybe you'd like it." "Oh, yeah, I like old movies," said one girl confidently. "I just saw that Sherlock Holmes movie the other day. The one with the guy from Iron Man in it? That was good."